… if you don’t count the bases, at least. A few more British Troopers completed, barring the bases. I’ll grab a photo of all of the battalion as it stands once these gents are finished. 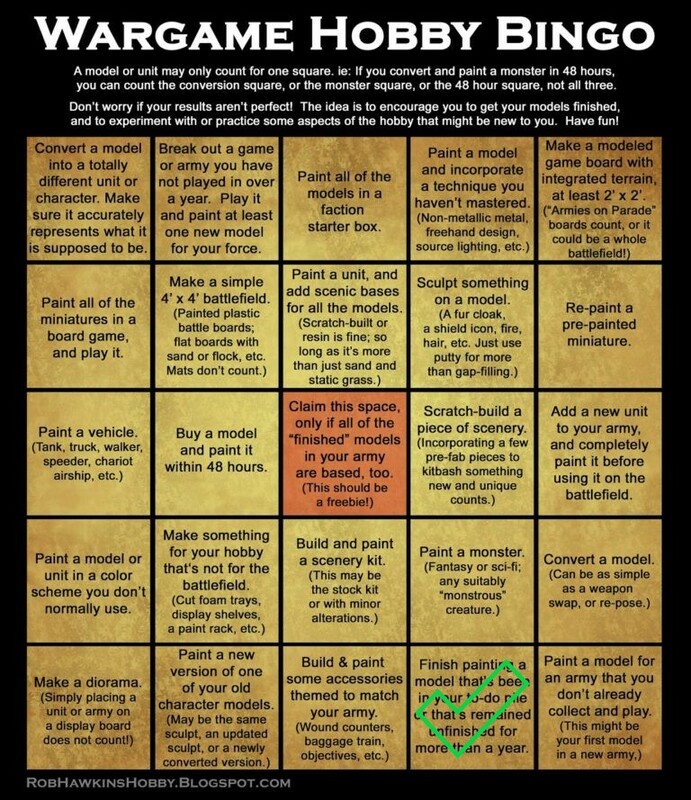 This means I’ve done my first square on the Wargame Hobby Bingo card for this year! This entry was posted in Napoleonic and tagged British by Luke. Bookmark the permalink.